Learn about four important factors that will affect your driveway choice. When it comes to choosing the right driveway for your home, there are a number of things to consider. 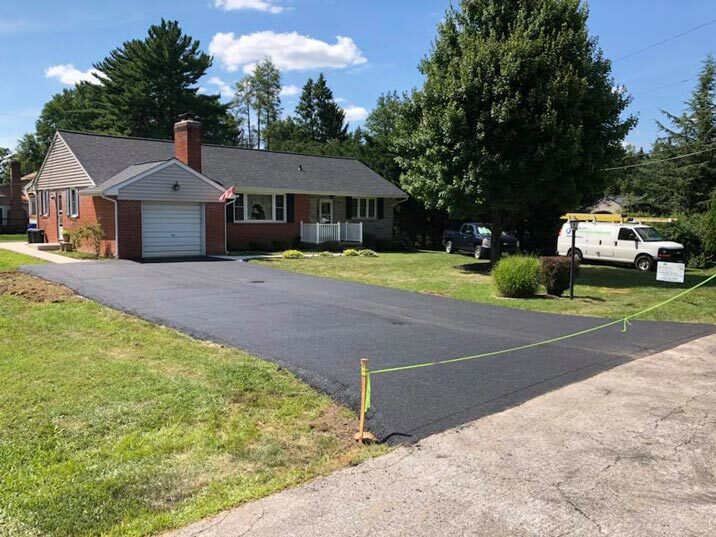 You will want an appealing, smooth driveway that fits your home’s particular needs, whether you just purchased the house or undergoing a renovation. But what are your considerations for your new driveway? We have a helpful guide to help you make your decision. Here are four factors that will affect your driveway choice. Different driveway materials will vary in durability, appeal, and cost-effectiveness. You’ll have a few factors to consider even for just the driveway material, making it a great place to start for choosing your driveway. Some materials, such as stone, may boost your curb appeal and add to the style of your landscaping. Others, such as more common asphalt, will be plenty durable as long as you remember to routinely seal and maintain the driveway in order to keep it from cracking. Driveway length is a very important consideration, as it can inform a lot of other factors for choosing your driveway. This goes for aesthetic appeal, the need for outdoor lighting, and cost. A material like stone will be durable and stylish, for example, but it may not be cost-effective for a very long driveway. Such a statement material will generally be best for a short driveway where it can complement the curb appeal of your home and require minimal maintenance. For a longer driveway, you may want to go with a more cost-effective material that’s easier to maintain, such as asphalt. Climate impacts the maintenance of your driveway and the weathering your pavement will undergo. Between rainwater runoff, the freeze-thaw cycle, and snow removal, your driveway will be affected by a number of weather conditions. Consider what your driveway will go through on a yearly basis. If the weather will routinely be harsh and rough on your driveway material, you will want to consider the kind of maintenance it will require. Consider the overall style of your home and landscaping. How important is it to you that your driveway compliments your lawn? You may want a driveway that will compliment your other landscaping or hardscaping features, or you may be looking for an understated driveway that will not be as impacted by the maintenance of your lawn. This is an essential factor to consider when choosing a driveway. This entry was posted on Thursday, January 17th, 2019 at 5:25 pm. Both comments and pings are currently closed.